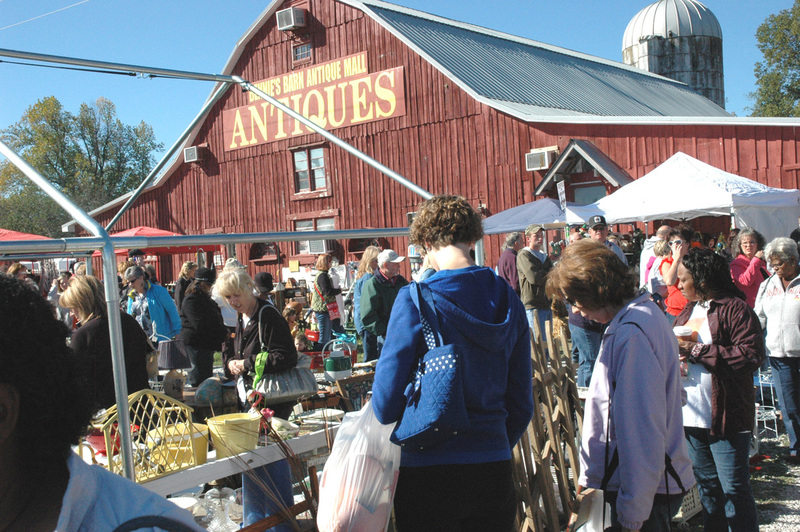 The crowd lined up to make purchases at booths in front of the barn. 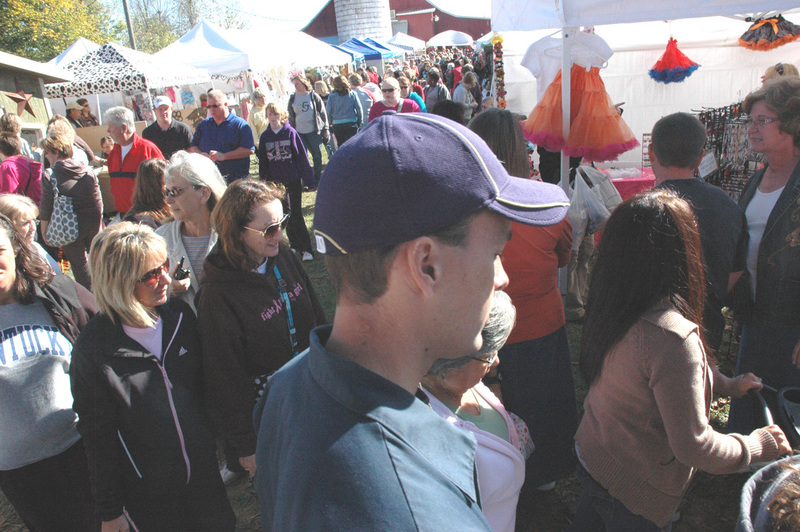 It was just as busy at booths behind the barn. 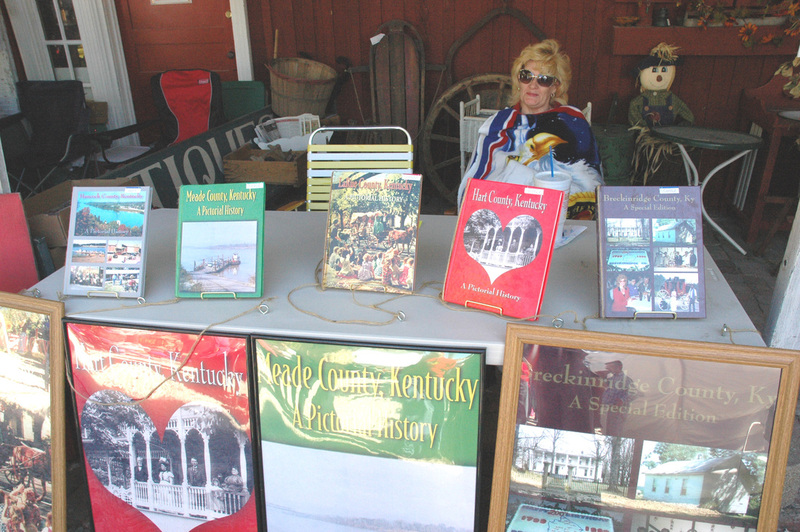 Judy Blair Wilson promoted her local history books. 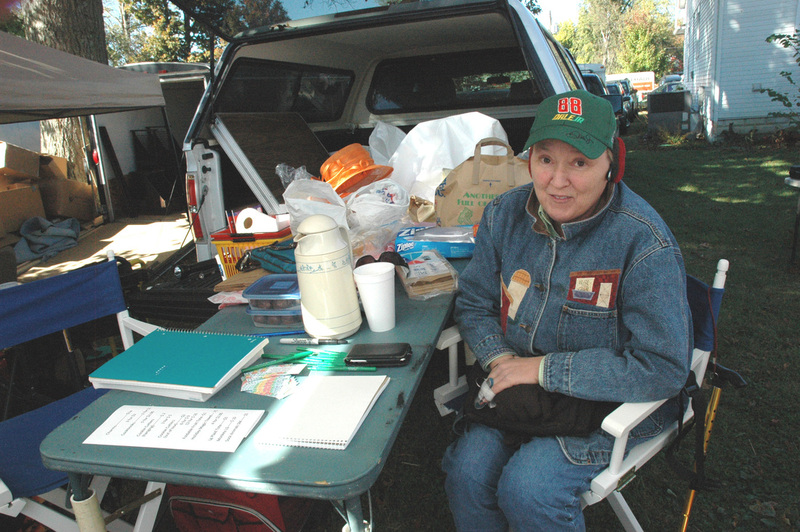 Debra Jean fought off the morning chill at her booth. 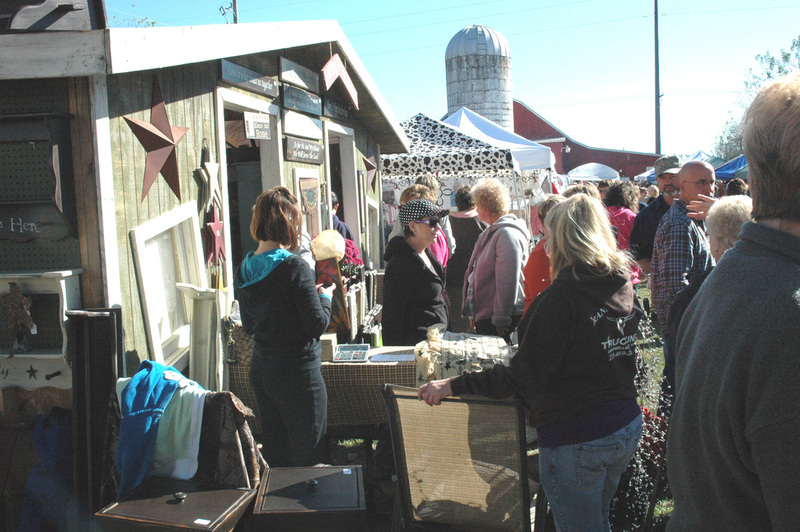 One vendor built a small house to display merchandise.